Amazon Fire HD 10 Kids Edition is a new tablet launched by the giant of online commerce and focused on the smallest of the home. It is a device designed for children, but with specifications that will cover the needs of not so small. 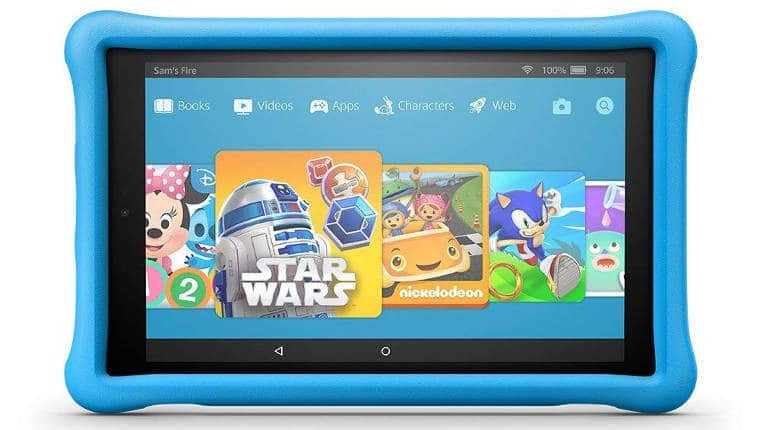 The Amazon Fire HD 10 Kids Edition features a 10.1-inch Full HD display, a powerful quad-core processor, and 32 GB of storage that can be expanded with a memory card of up to 256 GB. All this powered by a generous battery that will offer a range of up to 10 hours. All the Tablet is covered with a rubber structure focused on avoiding a disaster in case of fall or blow, although the screen still feels as fragile as ever. In essence, we are talking about an Amazon Fire HD 10 with a rubber case to test children. Amazon also implements a more user-friendly interface for touch than those used in its regular models. To guarantee maximum fun, it comes with a free year of Kids Unlimited, a service that has more than 5,000 books, videos, applications and games for children. The Amazon Fire HD 10 Kids Edition tablet is now available for booking, it will ship from July 11. Its price is 199 euros. A good alternative for children to start with the management of a device that will be present throughout their lives, although perhaps the price is a bit high for the needs of a child. What do you think of this new Amazon Fire HD 10 Kids Edition tablet for the little ones in the house?